If you are planning to attend ADE Sound Lab, these brands will be there to welcome you with gear and much more. After the recent announcements about the W Hotels Sound Suite at ADE Sound Lab and the numerous reasons to visit Sound Lab, we continue with more news regarding the central hub for artists, producers and DJs. 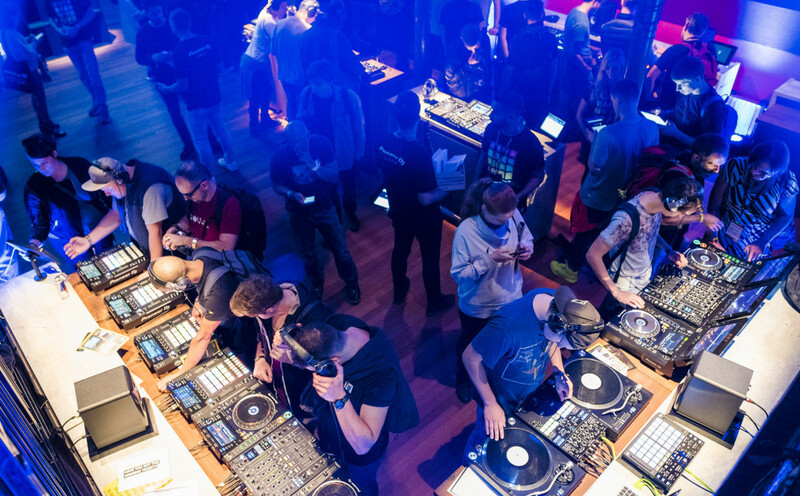 During ADE Sound Lab, many brands will present their products and services regarding music technology in order to let you experience new gear, showcases, and more. With Ableton at Sound Lab, you will get the chance to play with all the features Live 10 and Push 2 have to offer and ask the questions to one of the product specialists or certified trainers. Ableton will also be presenting several artist masterclasses and workshops in one of the public seminar-rooms at the ADE Festival Hangout. Learn and get inspired by professional producers or artists who will explain their workflow and share their tricks for studio and stage performance using Ableton Live 10 & Push. At the Amptec Gear Test Lab, you can try and test the gear from Audified, Audionamix, Bitwig, iConnectivity, Moog, Native Instruments and RME Audio amongst others. Producers can get hands on the Bitwig Studio 2 or the latest Moog analog synths. DJs can check out the Native Instruments DJ controllers and Audionamix XTRAX STEMS. With over 46,000 products from more than 600 different brands, Bax Music is the biggest music shop in the Benelux region. Whether you are after an electric guitar, a drum kit, a digital piano, a DJ controller, a set of headphones, an audio interface or even an LED spotlight, you will find them all at Bax Music. Bax Music is one of our partners, present in the Gear Test Lab so stop by to visit them and try the latest gear from brands such as Moog, Dave Smith, and IK Multimedia. At Elektron's area, you can experience the latest versions of their analog and digital music machines: Analog Rytm MKII, Analog Four MKII, Digitakt and Digitone. You will also get the chance to try new Analog Heat MKII. ADE is the perfect platform for Novation to encourage and inspire creativity and collaboration. Attendees to the ADE Sound Lab will have the opportunity to play on Novation’s eight-voice polyphonic synthesizer, the Circuit Mono Station sequencer and synth and the Circuit sequencer, synth and drum machine. In addition to this, Novation will be presenting a seminar with Rotterdam’s electro duo Animistic Beliefs as they share their sound and how they deploy these tools to the dance floor. ROLI and nura are two innovators changing the way we hear, feel, and make music. Their space at Rokin 75 is the perfect location to try a range of products from these two future-facing brands. Hear music in full colour with nuraphones, the world’s first headphone to automatically learn and adapt to your unique hearing. Control sound through touch with BLOCKS, the award-winning musical devices from ROLI, and test its brand-new Beatmaker Kit. At ADE Sound Lab, The SynthMaster team will showcase the latest version of their SynthMaster v2.9 and SynthMaster One. Their product specialist will be around to answer any questions about the desktop and mobile software synthesizer and provide tips to bring your music production to the next level. On top of that, ADE Card holders will get a special 40% off discount coupon. ADE Sound Lab is the central hub for artists, producers and DJs to meet and enjoy showcases, masterclasses numerous interactive events. It runs from October 18th until October 21st. Access only for ADE Card, Pass & Conference Pass holders. Purchase your ADE Card (€15,-) here.